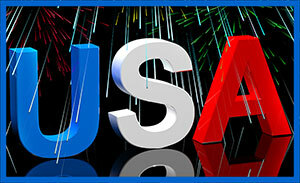 Save the United States clipart image of your choice then upload to your server. 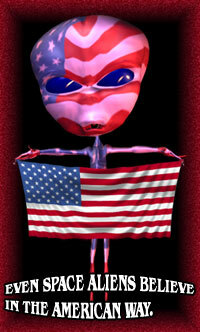 If you are unable to save our patriotic clip art then you may use the HTML copy/paste codes located under many images. 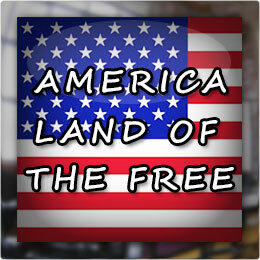 Page includes graphics and animations of The American Flag, American Eagles, America map flags, patriotic buttons plus sayings related to America such as "Home Of The Brave" and "Land Of The Free". 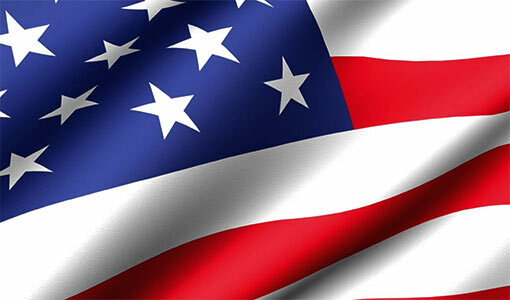 America- Home Of The Brave! Waving American Flag - JPEG. USA with an American Flag overlay. America - Land Of The Free! American Flag button with perspective shadow and a glass overlay on white. America on an American Flag JPEG. American Eagle on an American Flag with dark blue frame. USA with fireworks and reflection. 510 pixels wide American Flag waving in the wind. Large American flag with rounded corners. 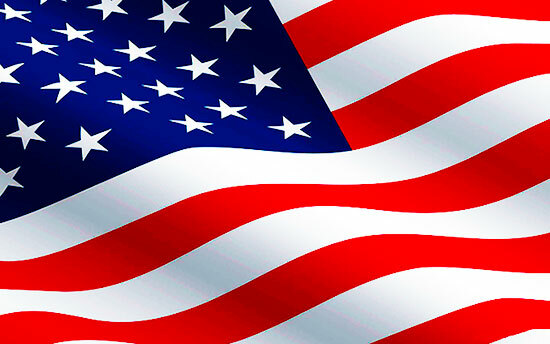 If you use our American Flag clipart, please give us credit. Thank You. Notes on NEVER FORGET image: We do not own the copyright to this image. We have placed this 9-11 picture on this page, based on the fair use doctrine, because we feel it is an important image we should all remember. Do not even consider selling the picture, using it as advertising, including it in any product or using the ground zero image in any manner that might be disrespectful, inappropriate or illegal. 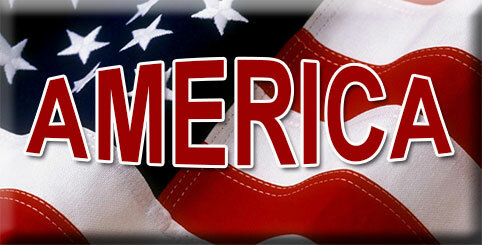 911 clipart, ground zero, American Patriotic images, Flag Day gifs, never forget, eagles, flags.